One Sure Insurance have grown to become one of the UK's leading independent insurance brokers. With an emphasis in Van Insurance, we actively work with over 20 different van insurers all over the UK to provide our customers with the absolute cheapest van insurance policies. Because we work directly with the underwriters, we are often able to secure discounts on premiums which wouldn't be possible by going direct. To date, we have insured over 10,000 Vans on the UK roads, ranging from modified vans to Camper Vans (Campervans). We consider ourselves to be van insurance specialists - especially for over 25 van insurance. We guarantee that our van insurance is the cheapest you'll find too - through our cheapest van insurance guaranteed* motto. Van Insurance can be complicated, with many optional extras to choose from - such as business usage. All of our sales advisers are regulated and authorised by the FCA to provide advice and guidance to our customers. As such, we are often able to work with you to try and secure the cheapest quotes for your Van. We offer an online quotation system which allows you to compare van insurance from the comfort of your own home. If you prefer to pick up the phone and speak with a member of our team, we're open throughout the week and on Saturdays to provide an all-round comprehensive van comparison service. To get in touch with our sales team, simply call us on 0800 107 0914 or 0330 100 9092 (mobile friendly). Because we are a specialist van insurance broker, we can work with our customers to insure a range of non-modified and modified vehicles. In the past, we have insured vehicles such as converted camper vans, Volkswagen Transporters and any type of transit vans. 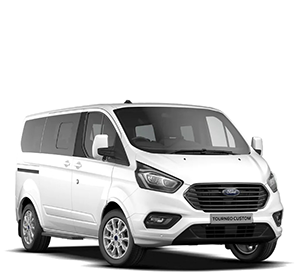 We are dedicated to helping our customers find the cheapest insurance quotations for their Van. Our cheapest Van Insurance Policy sold this year was just £117! We have a dedicated customer service team who are always on hand to help you administer your insurance policy. Just give us a ring! We can also work directly with our insurers and underwriters to have non-standard measures included the policy. For example, if you commute to and from more than one place of work, then we can arrange business use to be added to the policy. As our van insurance quotations often depend on the level of cover you require, it's important to establish exactly how, when and where you will be using your vehicle. If you're unsure of what level of cover will be best for you, then our trained advisers will be able to provide you with non-biased advice. One Sure Insurance is proud to work with underwriters to provide our clients with any driver van insurance policies. We are able to communicate directly with our underwriters to add multiple drivers onto one policy. No matter whether you're running a commercial business, or simply transporting goods to and from places of work; we can help you keep your employees on the road through van insurance for any driver. A typical any driver policy will allow yourself, and possibly several named drivers to be insured through the same policy. It is also possible to add a clause allowing absolutely anybody to drive the vehicle - but these usually have clauses such as the drivers have to be over a certain age, or have to have a certain amount of driving experience before the policy will cover them to drive the van. By working with One Sure Insurance, you're effectively shopping over 20 insurers and underwriters simultaneously. While obtaining your quotation, we will pull quotes from all of our insurance partners and provide you with the most appropriate policy for you. Because we obtain quotations from over 20 insurers, you'll often find that we're a lot cheaper than going direct to every company we work with. We will advise you on what optional added extras are available to you, as well as their relevant pricing structure. In some cases, you might find that we are able to provide a more cost-effective plan in comparison to some of the bigger insurance companies and comparison sites. It's also important that you double check whether you have a Van, or a vehicle that is classed as a HGV, Lorry or Truck. If your vehicle is over 7.5 Tonne, then it may be considered a HGV, and you may have to consider our HGV Insurance offerings. You may also have a specific type of Van, such as a campervan; which we can still cover - but you need to tell us!